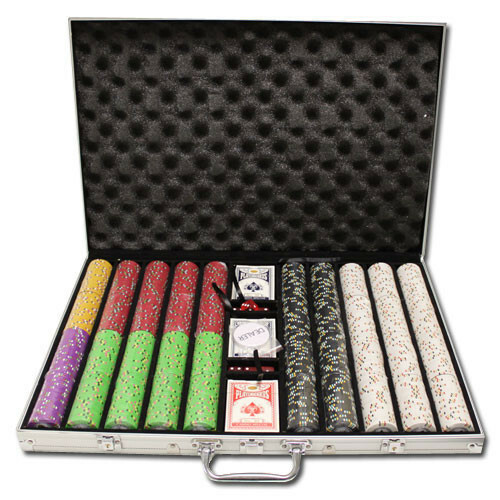 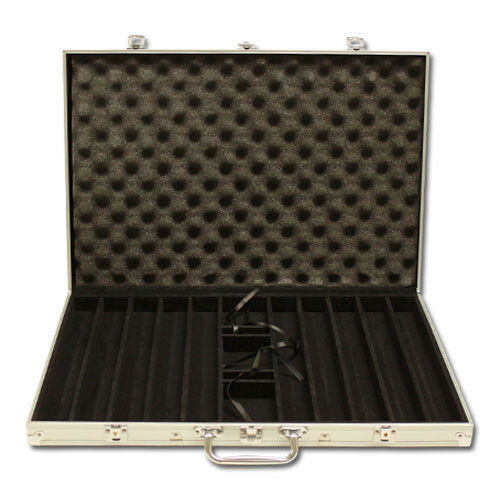 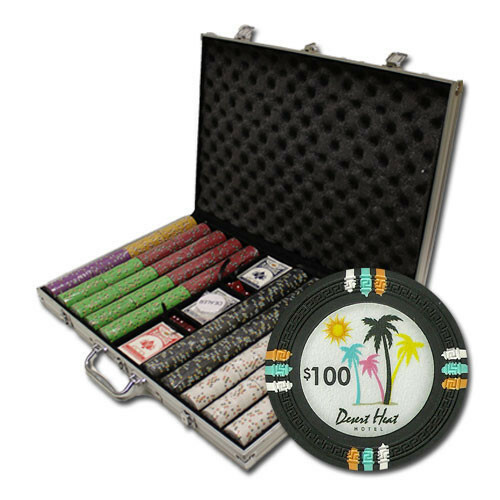 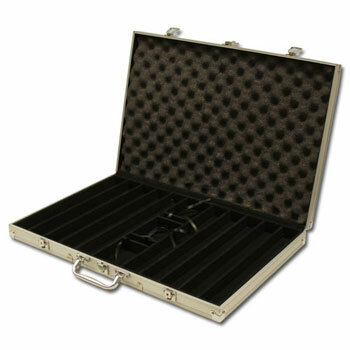 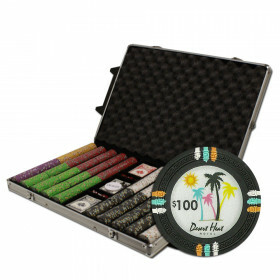 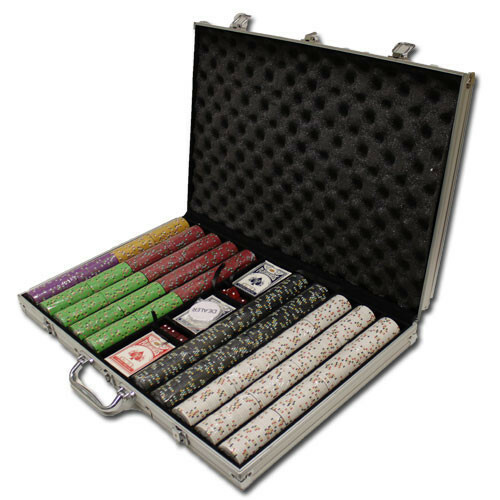 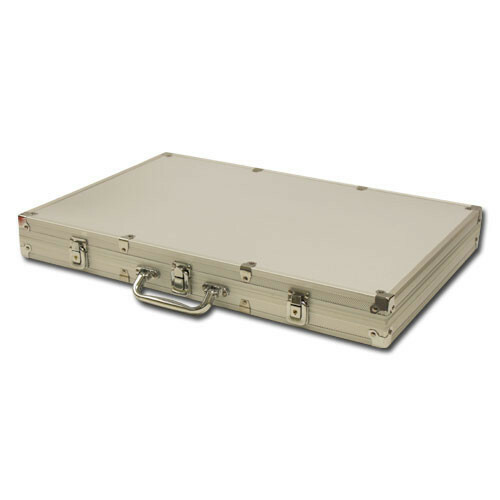 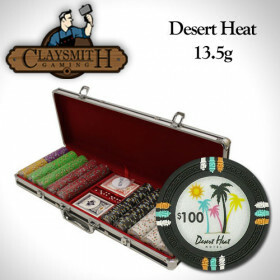 Get all the chips you need in this 1000pc Desert Heat poker chip set with an aluminum storage case. 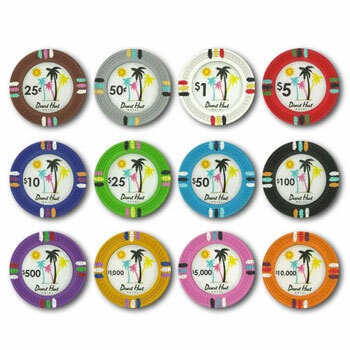 These are some of the highest quality casino poker chips available for home use and will set your game apart from the crowd. 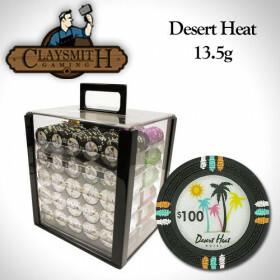 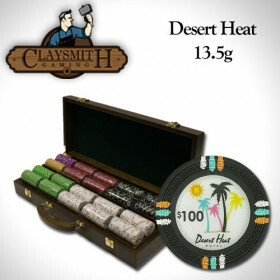 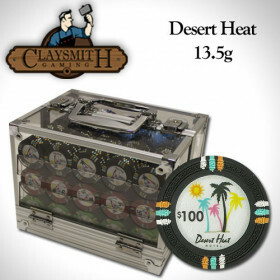 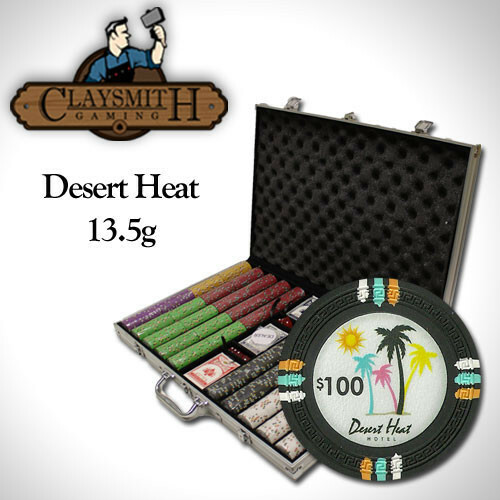 1000 Claysmith Desert Heat clay composite poker chips. Plus, we'll throw in 5 dice, 3 decks of playing cards and a free dealer button.